Call Recorder by Voicelog is a leader delivering Call Recording solutions using tried and tested Telephone Recorder Equipment. These Phone Recorder Devices are easily deployed and meet or surpass most Phone Call Recorder requirement in today’s volatile business environment for Recording Phone Calls. We have many different solutions and devices to meet and exceed any need, from Cell Phone Call Recorder to Home Phone Recorder Devices, to Desktop and Call Center Phone Recorder Equipment for your business. Our Phone Recorders are selected on best of breed bases and combine the best of Phone Call Recorder Software with our best in class Phone Recording Equipment. How to Record Phone Calls for your home or business is easy and quick and we have solutions for all budgets. Start recording today with just a single extension of Phone Call Recorder for Recording Telephone Conversations and expand in stages. With centralized Phone Call Recording and sophisticated reporting and agent call grading as and when your business demands, or your budget allows. Do you need Phone Tapping or to Tape Phone Calls? We have solutions that combine our Phone Recording Hardware and Phone Call Recording Software to meet your needs. 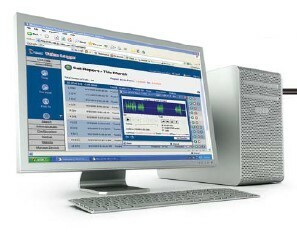 Record Phone Calls either on your PC to a stand alone Telephone Voice Recorder that does not require a PC. Voicelog Professional Call Recording Software works with our Telephone Recording Devices to make managing your calls a breeze and safeguarding your business. You can easily determine which Phone Call Recording Software is right for your application thus ensuring you get the right Phone Recording solution for your needs and within your budget. So no matter the reason for wanting to Record Phone Calls or where you want to use a Phone Recorder, Voicelog Recording has the solution that’s right for you at the right price. With Call Recording a Phone Call you are able to save you hundreds or even thousands of rands so you want to make sure your Telephone Call Recorder is backed by a company that is serious when it comes to delivering Call Recording backup and after sales service with trained technicians to ensure minimum disruption to your Telephone Voice Recorders. All the Telephone Recorders sold by us come standard with a One Year Warranty and we offer Service Level Agreements which covers all hardware and ensures your device continues running with the latest software / firmware. Voicelog Recording Devices are unique, try our low cost entry level Call Recording device with sensibly priced add-on modules for Recording Phone Calls. We guarantee you the best value, fully digital Phone Call Recording, fully professional Call Recording solution in the Telephone Recording Equipment industry! © 2019 Call Recorder. All rights reserved. Voice Recorders.